Incense cedars (Calocedrus spp. ): growing, planting, caring. 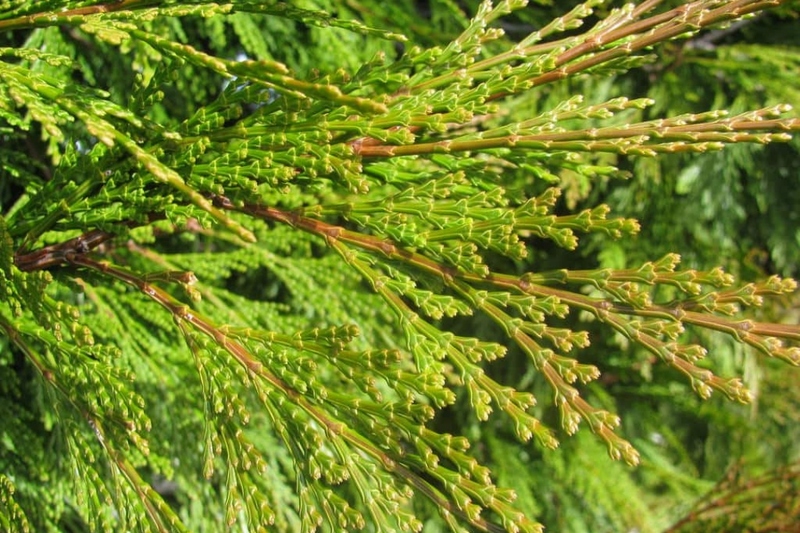 A cousin of Thuja, with similar overlapping scale-leaves, but differing in the leaves not evenly spaced apart as in Thuja, but with the successive pairs closely then distantly spaced, and in the cones having just 2–3 pairs of scales, rather than 4–6 pairs of very thin scales in Thuja. Scientific name : Calocedrus spp. Full description for Calocedrus spp. not yet available.